This beautiful black and cream wedding dress is made with Bridal Organza and Dot Tulle. 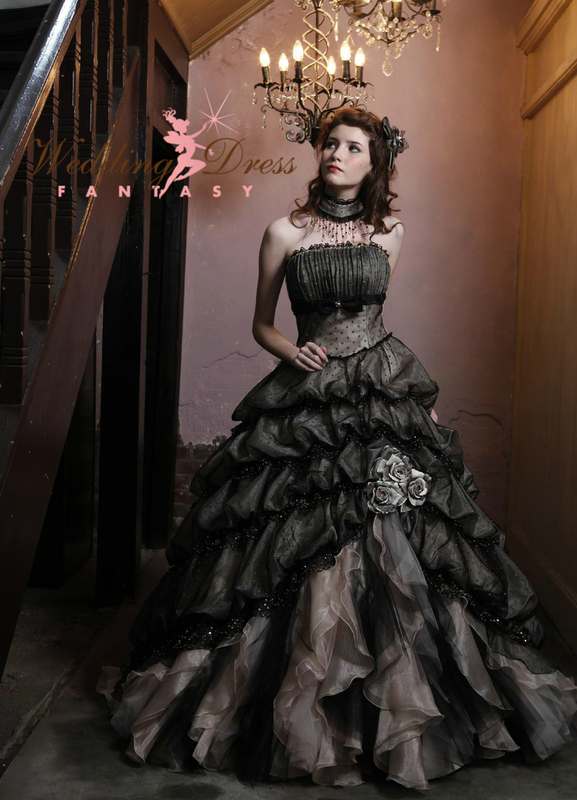 The fabric overlays gives this dress an appearance of being gunmetal in color, which is what makes it truly fabulous. This Black and Cream Wedding Dress is fully customizable. It's available in any color, with or without a train, zipper back or corset back, sleeves, higher necklines, and many more options. Simply email us with any questions. We would love to help you find your beautiful dream wedding dress in your favorite color.